Maine Federal Criminal Defense Lawyers - Oberheiden, P.C. From Acadia National Park to Portland, federal authorities are targeting individuals and businesses across Maine in high-stakes investigations. Whether you are under investigation or under arrest, you need Oberheiden, P.C.’s Maine federal criminal defense lawyers on your side. There are numerous and extreme risks associated with federal investigations. Individuals (including corporate CEOs, health care providers, and other high-level personnel) can face exorbitant fines and many years of incarceration. Businesses can face tremendous financial liability, loss of licensure or registration, and other severe penalties. A proven and successful defense against charges depends on experienced federal defense counsel. Our law firm, Oberheiden, P.C., commands a national presence when it comes to federal criminal litigation. Our attorneys have represented clients all over Maine and the rest of the U.S., including but not limited to dealing with: the Internal Revenue Service (IRS), the Drug Enforcement Administration (DEA), the Department of Health and Human Services’ Office of the Inspector General (HHS-OIG), the Federal Bureau of Investigation (FBI), and many other agencies. Our law firm is led by the founding partner, Dr. Nick Oberheiden. Dr. Oberheiden is experienced in high-stakes federal matters and has many years of federal litigation exposure. His team of experienced Maine federal criminal defense lawyers have amassed well over a century’s worth of experience in federal criminal matters, and will put that knowledge to work on your behalf. Are the FBI, OIG, IRS, or DEA Targeting You in Maine? We Fight to Avoid Charges in Every If you have not yet been charged with a crime, an opportunity still exists to avoid prosecution. Our firm has a history of resolving cases for our clients without charges being filed. Avoiding charges is our most important goal in every investigation we handle. We Rely on Extensive Federal Experience to Execute Strong Defense Strategies. Unlike other law firms in Maine, Oberheiden, P.C. focuses entirely on the area of federal defense. This results in a focused and trial-tested approach with decades of proven results as proof. We Focus on the Unique Aspects of Each Individual Case. No detail is too miniscule for our Maine federal criminal defense lawyers, and when our firm represents you, we will create a custom defense strategy that has the correct approach, and asks the appropriate questions. Our attorneys will guide you along every step of the way so you are informed of the process. We Help Our Clients Make Confident and Informed Decisions. The federal litigation process is complex and multifaceted. Our attorneys will help you answer questions such as: when should I respond to a target letter? Should I provide answers to federal agents from the FBI, IRS, OIG, or DEA? What should I do about self-incriminating information? Our attorneys will help you understand the intricacies of the federal litigation system and answer any questions you may have. We Never Give In. It is true that our attorneys are very experienced in federal defense litigation, but they also work hard and never stop pursuing the best possible outcome for our clients. Our proactive and unyielding approach, coupled with our legal experience, is a powerful combination that has led to fantastic results for our clients over the years. Maine is divided into different federal districts. The Pine Tree State is part of the United States Court of Appeals for the First Circuit (in case citations, 1st Cir.). In the United States District Court for the District of Maine, federal prosecutors are tasked to enforce federal law on behalf of the U.S. Department of Justice. Maine contains one federal district, the United States District Court for the District of Maine (in case citations, D. Me.). This district locates federal courthouses as well as branches of the Department of Justice, so-called U.S. Attorney’s Offices. The U.S. Attorney’s Offices employ federal prosecutors, also referred to as Assistant United States Attorneys (AUSA). The United States District Court for the District of Maine (in case citations, D. Me.) covers the counties of Androscoggin, Aroostook, Cumberland, Franklin, Hancock, Kennebec, Knox, Lincoln, Oxford, Penobscot, Piscataquis, Sagadahoc, Somerset, Waldo, Washington, and York, and it hosts federal courthouses and U.S. Attorney’s Offices in Portland (156 Federal Street, Portland, ME 04101), and Bangor (202 Harlow Street, Bangor, ME 04401). Even though a good portion of our practice is devoted to representing health care providers, our clients are diverse and include many other licensed professionals, public officials in complicated white-collar federal cases, corporate officers and entities, and other high ranking individuals. Oberheiden, P.C. represents individuals and businesses charged with a multitude of different types of federal offenses under Title 18 of the U.S. Code, and various other federal criminal statutes. Some of the most common are the Anti-Kickback Statute, the Controlled Substances Act, the Securities and Exchange Act, among others. …Federal Bureau of Investigation (FBI)? In the U.S., one of the most important and powerful federal law enforcement agencies is the Federal Bureau of Investigation (FBI). This agency is specifically tasked with drug, organized crime, terrorism, computer and Internet, public corruption, and other crimes investigations. This agency routinely, and frequently, works hand in hand with other federal agencies such as the OIG and IRS to target entities and individuals that are suspected of involvement in federal crimes. …Office of Inspector General (OIG)? The Office of the Inspector General (OIG) is the law enforcement wing of the Department of Health and Human Services. The mission of the OIG is “to protect the integrity of Department of Health & Human Services (HHS) programs as well as the health and welfare of program beneficiaries.” This agency completes this mission primarily by zeroing in on health care providers suspected of engaging in Medicaid, Medicare, Department of Labor (DOL), and Tricare fraud, among other charges. The Internal Revenue Service (IRS) has an extensive criminal enforcement division, which aggressively targets businesses and individuals who are suspected of underreporting income, underpaying taxes, and committing fraud and other potentially criminal violations of the Internal Revenue Code (IRC). Along with other agencies, the IRS is often included in allegations of money laundering, Medicare fraud, Medicaid fraud, and a host of other financial crimes. When it comes to allegations involving drug-related offenses, the Drug Enforcement Administration (DEA) plays a central role in federal investigations. These investigations vary but usually involve the manufacturing and distribution of illegal drugs (such as methamphetamine, cocaine, heroin, LSD, and prescription medications). At the moment, the DEA’s diversion control program is at the top of its law enforcement priorities. This involves stopping the unlawful distribution and use of addictive prescription drugs, including opioids. Q: What are the penalties for federal crimes? Federal crimes carry a broad range of penalties. In some instances, incarceration can last decades and fines can reach as high as in the millions of dollars. In order to understand what exactly is at stake in your own personal situation, you need to contact a proven attorney. Your Maine federal criminal defense lawyers will help you grasp the full scope of the investigations. If you decide that Oberheiden, P.C. is right for you – our firm’s experienced federal defense team will contact the agency or agencies involved and find out the exact details of the investigation against you. Q: Am I really guilty of a federal crime? You should never assume that you are already guilty, or that you will be found guilty, particularly during a federal investigation. It is far too early in the process to make such a determination. The government has not yet collected enough evidence to file charges against you or your business if you are still under investigation. You still have plenty of opportunities to defend yourself and achieve a successful result. Do not delay in contacting us. Q: How long do I have before I am at risk of being charged? If the OIG, FBI, IRS, or DEA has been targeting you for a longer period of time, charges could be imminent. However, if the investigation has just been initiated, you may have more options at your disposal. In either case, Oberheiden, P.C. has the right tools to tailor the strongest possible defense strategy for you, or deploy our Emergency Defense Package (EDP) if necessary. Q: Does the federal government negotiate plea bargains? Never assume that you have to negotiate a plea right away. The best possible option may just be a plea bargain, but our experienced Maine federal criminal defense attorneys have successfully convinced many prosecutors to drop charges entirely. 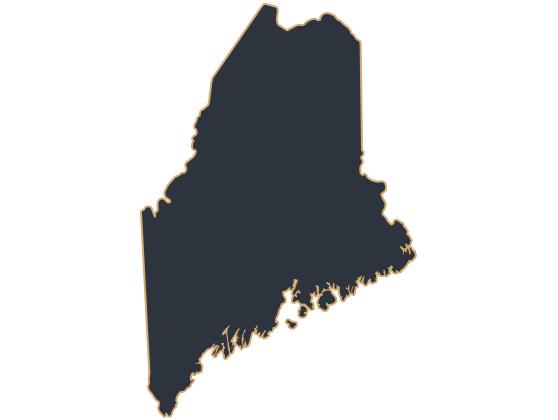 Q: Can your firm represent me in Maine? Absolutely, Oberheiden, P.C. is a national practice with seasoned attorneys who have represented clients in 21 states and counting, including Maine. Our Maine federal criminal defense lawyers will provide you with an effective and complimentary consultation by phone. When it comes to high-stakes federal investigations, our federal defense team has tremendous experience. If your practice, business, or overall reputation is in danger, we will use our extensive experience and federal litigation knowledge on your behalf. In OIG, FBI, DEA, and IRS investigations, our defense strategies are designed with the sole purpose of protecting you. For more information and legal advice tailored to the specifics of your investigation, please contact our Maine federal criminal defense attorneys to schedule a free and confidential case assessment. To speak with a member of our federal defense team in confidence, call (888) 519-4897 or tell us how we can help online now.